He’s also shown some real promise as an artist — specifically, gluing things to construction paper — and come bedtime, his acting skills could easily earn him an Oscar. My point, other than to realize a mom’s dream of bragging about her kid on the internet, is this: I hope he’ll go to college. I want him to have the freedom to pursue all of his interests. But I’d also like the freedom to pursue my interests, one of which is retirement at a reasonable age. I’m not alone here. It’s a question many parents ask: Should we save for college or for retirement? And while any financial planner would say that the right choice is crystal clear — retirement is the priority, because there are student loans and other sources of funding for college — it feels at odds with the instinct to put your kid first. But here’s the thing we often forget: It doesn’t have to be all or nothing. Anything you save for college reduces the need for student loans. There’s no reason you can’t put the bulk of your efforts into retirement while still taking steps — small as they may be — to build a pot of money for college, too. Here’s how to do that. The first thing on every saver’s agenda should be a 401(k) with matching dollars, if your employer offers one. But once you’ve met that match, you’re looking at a few account choices. You can continue saving for retirement in that 401(k). You can turn your efforts to college with a 529 plan, which allows your money to grow tax-free if it’s used for education expenses. Or you can straddle both goals with a Roth or traditional IRA. Both of these are tax-advantaged retirement accounts, which means if you don’t have a 401(k), they’re the next-best option anyway. But if you’re also juggling college, IRAs allow distributions for qualified education expenses without penalty. The Roth IRA has even greater flexibility: Because you’ve already paid taxes on the contributions, you can remove those (but not investment earnings) at any time. My suggestion: Calculate how much you need to be saving for retirement, then try to work toward that goal using a combination of a 401(k) and a Roth IRA, if you’re eligible (Read about Roth IRA rules). In the meantime, open a 529, even if you can’t yet fund it regularly — some have no minimum or a minimum as low as $25. Then politely direct family members toward your 529 — many allow third-party contributions for this reason — when they ask what your kid wants for the next holiday. This has the added bonus of limiting the number of toys that come into your home. If you’ve ever been stuck in a car with a singing truck, you know exactly how valuable that is. I know firsthand that good childcare is worth every cent, but there are a lot of cents involved. I expect my bank account and I will both do a little jig when my son is old enough to start public school. If you’re also looking forward to that day, plan to use at least some of the money you’re no longer spending on daycare or preschool to pad that 529: A contribution of just $300 a month for 13 years could turn into more than $70,000 at a 6% return, according to NerdWallet’s compound interest calculator, even with that slightly late start. According to a survey from T. Rowe Price, while 62% of kids expect their parents to cover the cost of whatever college they choose, only 12% of parents said they’ll be able to pay the entire cost of college. That disconnect isn’t going to work out well for either party. I definitely don’t remember thanking my parents for making it clear they weren’t footing the bill for college, but in hindsight, I would thank them, and I plan to take the same approach with my son. The earlier you can start managing expectations, the better — not only because your kid can tailor his or her college dreams to your budget or get comfortable with the idea of student loans, but because pursuing scholarships can provide a powerful motivation for getting good grades. “Arielle Answers” is an investing and retirement column for all ages and life stages. I’m here to help you save more and reach your investing goals, whether that’s retirement, a house down payment or college for your kids. These are things I’m saving for, too. If you have a question, I’d love to answer it in an upcoming column. (The disclaimer: I won’t tip you off to the next hot stock or the best mutual fund because I can’t predict the future.) 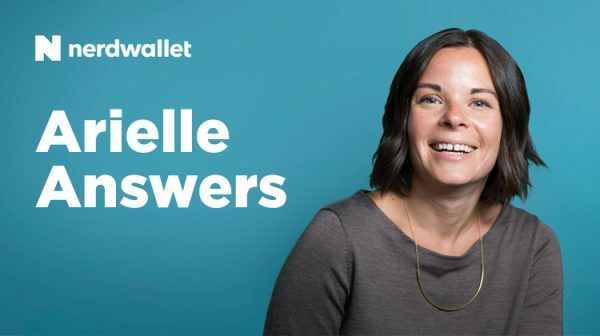 You can email me at arielleanswers@nerdwallet.com.